Gotcha Covered HR is a women-owned New Orleans-based Human Resources consulting firm. Its founders, Stefanie Allweiss and Patricia Pannell, who both hold law degrees, have significant years of experience working with both large and small businesses in multiple industries. Their associate Ray Lieber is an expert in human resources processes and rounds out the team with his wealth of practical experience. As a member vendor of MABWA, Gotcha Covered HR offers a greatly discounted consulting rate, and a number of specialized packaged services, as a benefit to all of our members. Our mission is to provide businesses with practical and cost-effective solutions to people-related challenges within the workplace. 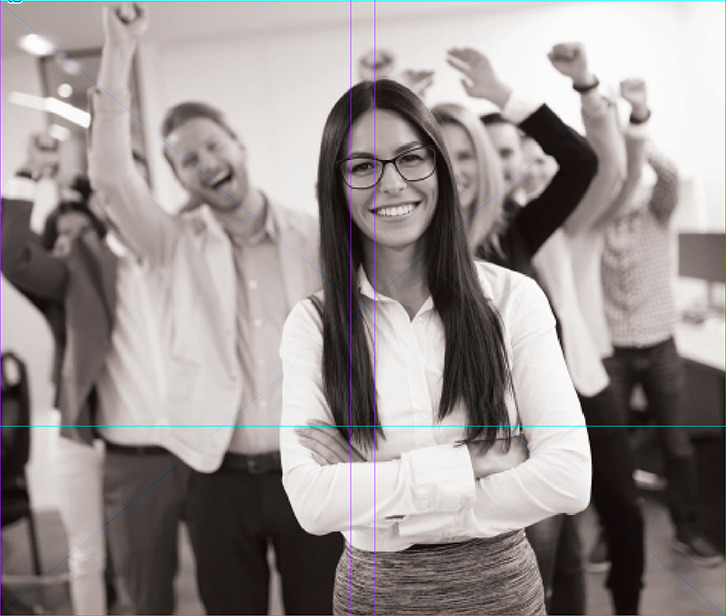 We recognize that every business is unique and we focus on customizing your HR program to align with your mission and values. We understand the importance of proactively addressing issues quickly and productively so that your business and workforce can be successful together. We had the privilege of meeting many of you during our presentations at MABWA meetings in Dallas during the Fall Educational Seminar in 2016 and again at the Convention in March of this year. As a member benefit, we are offering to you a number of HR services at a reduced rate of $125 per hour. We can also customize a package for you on a retainer or project basis. These services cover a myriad of our competencies, including recruitment, talent acquisition, leadership training, policy development and risk management. Depending on the size of your business, and the immediate concerns you face, you can choose from our select consulting services, or simply take advantage of monthly interactive calls, all at our discounted rate to members. We hope to continue to present relevant seminars on current developments on HR topics at annual conferences, and we would love to hear from you on what topics may be of particular interest for future presentations. As an additional source of support, you will begin receiving periodic newsletters from us on current HR topics and trends. Look for our upcoming Legal Alert on changes to the I-9 forms to hit your mailboxes soon! To learn more about Gotcha Covered HR, visit their website at www.gotchacoveredhr.com. For information on the discounted consulting services offered to our members, contact info@gotchacoveredhr.com. You can now subscribe to WQA Radio on iTunes, Google Play and Stitcher. "We have very cruddy water in the Rio Grande Valley," Stenseng said. "So, you have pollution and all kinds of contaminants that come into play." We'll also have a regulatory update and get an update from the WQA News Desk. You can now subscribe to WQA Radio on iTunes, Google Play and Stitcher. ﻿September 12-14, 2017 in San Diego. Alexandria, VA – The International Bottled Water Association (IBWA) has been awarded the APEX 2017 Award of Excellence for its bimonthly magazine, Bottled Water Reporter. The publication, which competed against more than 300 entrants in the category for magazines, journals, and tabloids, is the only trade magazine in the nation that exclusively covers the bottled water industry—America’s No. 1 packaged beverage—reporting on trends, issues, and innovations. IBWA Publications Manager Sabrina Hicks said this was the first year the trade association entered its magazine in the international competition, which evaluates communications publications on criteria such as graphic design, quality of editorial content, and the success of the entry in conveying the message and achieving overall communications effectiveness. "As a first-time entrant in the APEX award program, we are very honored that the outstanding content and design of Bottled Water Reporter is being acknowledged with this Award of Excellence," Ms. Hicks said. "IBWA staff work tirelessly to ensure our members—and the entire Bottled Water Reporter readership—have access to up-to-date information on industry issues they can use to help educate their customers about the value of bottled water. In addition, we strive to provide magazine content that members can use to help grow their businesses. So, it’s very gratifying to see those efforts recognized." Ms. Hicks said the print and digital magazine is produced for IBWA's members, but it has many non-member subscribers who are also interested in topics that are important to the bottled water industry. As more Americans trade sugary packaged beverages for healthy, convenient, safe bottled water—and bottled water sales and consumption continue to grow—the magazine focuses on providing vital information to bottlers, distributors, and suppliers on topics such as healthy hydration, environmental sustainability, home and office delivery, marketing and management, and product innovation, among others. “The issues surrounding the bottled water industry can be complicated," Ms. Hicks said. "Bottled Water Reportermagazine covers those complex, yet interesting, themes with an informal tone and presents our informative editorial content in a graphically appealing way that invites readers to stay on the page a little longer. For more information about Bottled Water Reporter or to view the latest issue, visit www.bottledwater.org/newsroom/bottled-water-reporter. LISLE, Ill. – The Water Quality Association applauds the Council of the District of Columbia for recently amending the Healthy Schools Act of 2010 focusing on lead in schools and other public places. The new law requires public schools and public charter schools to locate all drinking water sources, install and maintain certified filters for reducing lead at all drinking water sources and to test all drinking water sources for lead annually. According to the new requirements, if a test result shows the lead concentration exceeds 5 parts per billion, the drinking water source must be shut off within 24 hours after receiving the test results, remediation steps need to be determined, and information about the test results and remediation efforts must be posted online. A list of all drinking water sources with information about filters, testing, and maintenance would also have to be published online. The bill also addresses child development facilities, requiring each facility to install and maintain certified filters for reducing lead at all drinking water sources in the child development facilities. Annual lead testing is also required for all drinking water sources at these facilities, and if a test result shows lead concentration levels exceed 5 parts per billion, the drinking water source needs to be shut off within 24 hours of receiving the test result and remediation steps need to be determined. The lead crisis in Flint, MI, last year brought nationwide attention to the lead issue in public water supplies. Children are especially at risk since lead exposure results in reduced cognitive development and neurobehavioral deficits. (More information on lead is available at the Centers for Disease Control’s (CDC) website: http://www.cdc.gov/nceh/lead/ACCLPP/blood_lead_levels.htm). Selection of a drinking water treatment device or system for health contaminant reduction should be made only after careful investigation of its performance capabilities based on test results from a certified lab. WQA recommends treatment products that have been certified. Visit WQA’s product certification listings to search WQA’s database of certified products. Water treatment professionals can be found using WQA's Find Water Treatment Providers tool. LISLE, Ill. –The Water Quality Association (WQA) is calling attention to individuals claiming to be from WQA going door-to-door on Long Island, New York passing themselves off as water inspectors or offering to test a homeowner’s drinking water. “The Water Quality Association does not solicit door-to-door, period,” said WQA Executive Director Pauli Undesser. "WQA has a strict code of ethics for our members and for manufacturers of water treatment products. We don’t use scare tactics to generate business." WQA has been made aware of numerous complaints in which homeowners in various parts of the country have been approached by individuals who claim to be from the WQA offering to test their water or trying to sell a water treatment device. WQA recommends homeowners have their water tested by a water treatment professional or certified lab. Water treatment professionals can be found using WQA's Find Water Treatment Providers tool. WQA recommends treatment products that have been certified. Consumers can visit WQA’s product certification listings to search WQA’s database of certified products and professionals. LISLE, Ill. – Awareness of water treatment methods increased over the past two years among U.S. consumers, according to a national public opinion study, with 92 percent of respondents aware of in-pitcher or end-of-tap filters, up from 84 percent in 2015. The number of households that were aware of filters in refrigerators rose slightly, from 83 percent in 2015 to 84 percent this year. Percentages did not add to 100 percent because of multiple responses. The U.S. Environmental Protection Agency requires municipalities and public water systems to make available to their residents a copy of their annual drinking water quality report, also known as the Consumer Confidence Report(CCR) by July 1st of each year. The WQA national survey found that 62 percent of households said they did not receive or did know if they received their CCR, up from 56 percent two years ago. How the survey was conducted: The report presents the findings of a national online survey conducted by Applied Research-West, Inc. between February 1-February 15, 2017. A total of 1,711 adults over the age of 18 and living in private households were interviewed. ARW used a random sampling procedure and the survey results. More about the survey can be found at WQA.org. WQA also has made available a free booklet Water Treatment for Dummies (a Wiley Brand): WQA Special Edition to help consumers save money while enhancing the quality of the drinking water in their home or business. Alexandria, VA – The International Bottled Water Association (IBWA) is encouraging consumers to take action during National Hurricane Preparedness Week, which runs this week (May 7-13, 2017). IBWA is also taking the opportunity to highlight the fact that in times of emergencies or natural disasters, bottled water is always there when you need it, and is directing people to watch a video about bottled water’s role in times of emergencies (www.youtube.com/watch?v=DOBatcWe08c). “Being prepared in advance of a threat means stocking up on emergency supplies, such as non-perishable food, drinking water, batteries, etc., in sufficient quantities to last at least 72 hours. In fact, FEMA advises that the safest, most reliable emergency drinking water is commercially purchased bottled water and recommends at least 1 gallon per person per day, for at least three days,” says Ms. Culora. When tap water is disrupted by anything from a power outage to a pipe breach during a hurricane, bottled water provides a necessary and reliable source of safe drinking water. Storing bottled water is a safe, convenient, way to ensure that you have an adequate supply of water on hand. Bottled water is there when you need it, but only because the industry is strong and viable throughout the year. The bottled water industry has always been at the forefront of relief efforts during natural disasters, and IBWA member companies have immediately responded to the need for clean water after devastating events, such as 2012’s Hurricane Sandy. “History teaches that awareness and preparation can reduce the impact of a disaster, such as a hurricane. Families, individuals, and businesses who know their vulnerability and what actions to take in advance can lessen the effects of a hurricane,” she says. In recognition of the importance of hurricane preparation, the National Oceanic Atmospheric Administration (NOAA) and National Weather Service (NWS) have developed a social media campaign that includes the hashtags #HurricanePrep and #HurrincaneStrong to promote safety messages during National Hurricane Preparedness Week. Americans are encouraged to be prepared before a hurricane threatens their community by visiting the ready.gov website. Included in the ready.gov guidance is information about what supplies to pack in a basic disaster supply kit—including the 1 gallon of water per person per day for at least three days for drinking and sanitation. Know your risk: The first step is to understand how hurricanes can affect where you live and work, and how the weather could impact you, your family, and your coworkers. When you understand your risk, you are better able to prepare. Check the weather forecast regularly and sign up for alerts from emergency management officials and local TV or radio. Take action: Pledge to develop an emergency plan based on your local hurricane, severe storms and flooding hazards and practice how and where you will evacuate if instructed by your emergency management officials. Post your plan in your home or office where everyone can see it. Learn how to strengthen your home and business against hurricanes. Download FEMA’s mobile app so you can access important safety tips on what to do before, during and after a hurricane. Understand the National Hurricane Center warning and alerts. Be an Example: Once you have taken action and pledged, share your story with your family and friends. Create a YouTube video, post your story on Facebook, comment on a blog, or send a #ItOnlyTakesOne or #HurricanePrep tweet. More information can be found at www.bottledwater.org. Information on the different types of severe weather such as tornadoes, severe thunderstorms and flooding is available at www.weather.gov and www.ready.gov/hurricanes or the Spanish-language web site www.listo.gov. Alexandria, VA –– Bottled water companies are concerned about the environment and are working to increase consumer recycling, the International Bottled Water Association (IBWA) said today. IBWA and the groups mentioned above share some important common goals, including promoting recycling and reducing the number of beverage containers (e.g., bottled water, soft drinks, fruit juices, etc.) and other items that end up in the waste stream. However, we have very different views on the best way to approach this issue. Any actions to address the packaging waste problem must focus on all consumer products and not target just one industry. Americans are making great efforts to live a better lifestyle by choosing healthier foods and beverages. Drinking water – tap, bottled, or filtered – should therefore be encouraged. With the high rates of obesity, diabetes, and heart disease in our on-the-go society, bottled water provides a safe, healthy, convenient product choice. Moreover, bottled water has a smaller environmental footprint than other less healthy sugary beverages, which use more water to make, are packaged in heavier plastic containers, are not calorie-free, and have flavorings, caffeine, and other additives that consumers often want to avoid consuming. Any actions that discourage people from drinking bottled water are not in the public interest. IBWA is active in helping improve access to curbside recycling bins through its involvement with The Recycling Partnership -- a national recycling nonprofit organization comprised of industries and municipalities -- with a goal of making a measurable impact on recycling in the United States. IBWA is also a member of three regional recycling groups: the Florida Recycling Partnership, the Michigan Recycling Partnership and the Northeast Recycling Council. Most recently, IBWA has reached out to the Fairfax County (Virginia) Waste Management Office and Fairfax County Public Schools seeking ways the bottled water industry can work together with them to improve consumer education and recycling. They would negatively impact consumers, particularly those who could least afford it, such as the elderly and others on fixed incomes, by increasing the cost of a 24-pack case of bottled water or other beverage by $6.00. This would make it a lot more difficult for people to drink healthy. They create a loss of income for businesses due to increased out-of-state cross-border sales, which would impact state estimates on expected revenue gains. They place an extra burden on consumers to return the empty containers to a retail store or redemption center. They lead to fraud and over redemption, which would further drive up the cost of bottled water for manufacturers and consumers. They do nothing to educate consumers about the importance of recycling. Lightweighting PET plastic container packaging to reduce overall plastic use. The average weight of a single-serve bottled water PET container has decreased 51 percent since 2000, saving 6.2 billion pounds of PET resin. With an average weight of just 9.25 grams, bottled water containers use 1/3 the amount of PET used for soda and other packaging, which requires thicker plastic due to carbonation and other manufacturing processes. Producing communications materials to encourage people to recycle and to understand the importance of recycling. These efforts include numerous YouTube videos (www.youtube.com/user/BottledWaterMatters) – a collection that includes a hilarious “Recycle Kitty” video (www.youtube.com/watch?v=-KGjMkHA8D4) and infographics (http://www.bottledwater.org/public/images2/Reaching Our Recycling Potential Apr5.jpg). Developing a Material Recovery Program, aimed at increasing the recycling rates for all consumer products. Littering is a human behavior issue, and we certainly support efforts to help educate consumers about the importance of recycling and respecting their environments,” Culora said. To learn more about bottled water, and the IBWA’s recycling initiatives please visit IBWA’s website at www.bottledwater.org. Lead-free and UV stabilized, the plug can be used in several applications ranging from Agricultural Spraying, Dairy Equipment and Car Wash Chemical Dispense to ice makers, coffee dispensing equipment, and reverse osmosis systems. By incorporating JG's push-fit technology, the plug allows for quick installation and disconnection purposes without the need for any tools. "The quality of our drinking water is tied to the quality of our lives." LISLE, Illinois -The Water Quality Association is joining elected officials, drinking water and wastewater providers, community leaders, business and labor groups, policy experts, advocacy organizations and infrastructure experts participating in Imagine a Day Without Water on Thursday, September 15, 2016. The observance is an effort to educate the public about the water infrastructure crisis currently facing the United States. Organized by the Value of Water Coalition, hundreds of organizations across the country will participate in events aimed at raising awareness about the crucial need for investment to ensure that no community in America is left without water. “We believe it’s absolutely critical to call attention to the need for clean drinking water across the country,” said WQA Deputy Executive Director Pauli Undesser. “The quality of our drinking water is tied to the quality of our lives. We cannot afford to cut corners when it comes to funding solutions for our public water systems." The lead crisis in Flint, MI, earlier this year brought nationwide attention to the lead issue in public water supplies. In addition, the U.S. Geological Survey reported in June that groundwater in 25 states and the District of Columbia has a high potential for being naturally corrosive. The problems that the country’s drinking water and wastewater systems face are multi-faceted. Each community faces distinct challenges and will require locally-crafted solutions to solve their biggest water problems. Imagine A Day Without Water tells their stories, as well as the stories of innovative solutions to our nation’s water challenges, so that no one ever has to experience another day without water. More information is available at imagineadaywithoutwater.org. WQA recommends that homeowners, schools and businesses have their drinking water tested through a certified water-testing laboratory. Water treatment professionals and certified water treatment products can be found on the WQA website at www.wqa.org. Products displaying WQA’s Gold Seal have been thoroughly tested and meet the requirements of the American National Standard Institute (ANSI) for their contaminant reduction claims. The International Bottled Water Association (IBWA) reminds consumers and government officials that during a natural disaster (e.g., flood, hurricane, wildfire), emergency, or other event that causes tap water to be unsafe or unavailable, the bottled water industry is committed to ensuring that safe, reliable bottled water is provided to emergency-support organizations, city and state governments, relief centers, retailers, and other points of distribution. September is National Preparedness Month, and the Federal Emergency Management Agency (FEMA) and Ready.gov are encouraging all Americans to plan how to stay safe and communicate during the disasters that can affect your community and to participate in the national day of action: National PrepareAthon! Day. IBWA has produced a video, “Bottled Water – Always There When You Need It,” to help remind people about the vital role bottled water plays before, during, and after emergencies and to help people re-assess their risks and update hurricane kits and emergency plans. When preparing for a natural disaster or other emergency, FEMA specifically recommends that store-bought bottled water be part of your supplies; at least one gallon per-person, per-day for three days. Storing bottled water is a safe, convenient, way to ensure that you have an adequate supply of water on hand. IBWA understands that consumers must have access to safe, clean drinking water during emergency situations. Smart planning and preparing for one’s water needs can make a big difference in the ability to get through and recover from an emergency situation or natural disaster. The bottled water industry has always been at the forefront of relief efforts during emergencies or natural disasters. Throughout the years, bottled water companies have responded to the need for clean water such as during the recent lead contamination of Flint, Michigan’s public water supply; in 2014 when Toledo, Ohio’s, public water system was contaminated by a toxin from an algae bloom in Lake Erie; the 2013 chemical spill in Charleston, West Virginia; Hurricanes Sandy and Katrina; and numerous floods, wild fires, tornadoes, and earthquakes. The bottled water industry also supports a strong public water system, which is important for providing American’s with clean and safe drinking water. In fact, many bottled water companies use public water sources for their purified bottled water products. Once the water enters a bottled water plant several processes are employed to ensure that it meets the U.S. Food and Drug Administration’s purified water standard. These treatments may include one or more of the following: reverse osmosis, distillation, micro-filtration, carbon filtration, ozonation, and ultraviolet (UV) light. The finished water product is then sealed in a bottle under sanitary conditions and sold to the consumer. IBWA is proud to be an active supporter of Drink Up!, an initiative of First Lady Michelle Obama and the Partnership for a Healthier America (PHA), which encourages Americans to drink more water more often – whether from the tap, a filter, or in a bottle. Choosing water is always the healthy choice. Consumers can contact IBWA at 1-800-WATER-11 or visit IBWA's website (www.bottledwater.org) for more information about bottled water. Media inquiries can be directed to IBWA Vice President of Communications Chris Hogan at 703-647-4609 or chogan@bottledwater.org. The U.S. Food and Drug Administration (FDA) is moving forward with implementing the FDA Food Safety Modernization Act, with the first major compliance dates beginning next month for large food facilities. While the major provisions of the FSMA rules are being implemented as planned, the FDA today issued a final rule that extends and clarifies the compliance dates for certain provisions in four of the seven foundational rules. These changes are part of the FDA’s continuing efforts to make the rules as practical as possible while still protecting public health. The final rule addresses technical issues and better aligns compliance dates across the four rules. • Human food companies other than small and very small businesses will need to come into compliance with the Current Good Manufacturing Practice, Hazard Analysis, and Risk-Based Preventive Controls for Human Food rule by September 19, 2016. • Animal food companies other than small and very small businesses will need to come into compliance with Current Good Manufacturing Practices (CGMPs) under the Current Good Manufacturing Practice, Hazard Analysis, and Risk-Based Preventive Controls for Food for Animals rule by September 19, 2016, and with preventive controls by September 18, 2017. The two CGMP and preventive controls rules -- together with the five other foundational rules that will be implemented over the next several years to strengthen FDA oversight of produce, imported foods, sanitary transportation and intentional adulteration -- will create the preventive and risk-based food safety system mandated by FSMA and reduce foodborne illness. The changes announced in today’s final rule impact the compliance dates for certain provisions in these four rules: the two CGMP and Preventive Controls rules for human and animal food, Foreign Supplier Verification Programs (FSVP), and Produce Safety. The changes include providing more time for manufacturers to meet requirements related to certain assurances that their customers must provide, more time for importers of food contact substances, and other extensions to align compliance dates for various other food operations or provide time for FDA to resolve specified issues. The rule also clarifies the timeframe for agricultural water testing. A draft guidance published today, available for public comment starting August 24, 2016, involves five chapters of what will be multi-chapter guidance designed to help businesses comply with the CGMP and Preventive Controls for Human Food Rule. The draft guidance explains FDA’s current thinking on how to comply with the requirements for hazard analysis and risk-based preventive controls and includes a discussion about establishing a food safety plan. The FDA will release additional chapters of the draft guidance for public comment as they are completed. The agency plans on releasing all chapters of this draft guidance by early 2018. Healthier sales of bottled water bode well for c-stores as packaged beverages continue to drive profits. Flint, Mich., has been the epicenter of contaminated tap water. For more than 24 months, residents have battled authorities over how to clean up the lead-tainted water running through the city’s aging pipes. The story gained more attention when the three biggest bottled water producers, Coca-Cola, PepsiCo and Nestlé, promised to supply the city’s schools with free bottled water through the end of this year. Last month, Bloomberg predicted bottled water sales this year would surpass carbonated soft drink (CSD) sales for the first time. This shift presents an interesting scenario for convenience stores where soda has long been a major revenue producer. That said, Hallman has noticed a shift away from sodas at Kum & Go, which operates 435 stores in 11 states. “Through the first half of 2016, with same-store sales, our top performing categories are bottled water, juice drinks and sports drinks. This has been the trend for the past year and a half as consumers are looking for more better-for-you (BFY) beverage options,” Hallman said. Beverages of all varieties have performed well during the first half of the year. According to Wells Fargo Securities’ Beverage Buzz Survey for the second quarter, all non-alcohol beverage sales in convenience stores rose 4.6%. Within packaged beverages, certain subcategories continue to expand their market shares. Of course, bottled water leads the pack. For several years, this segment has been garnering traction, but 2015 was its breakout year. The Beverage Marketing Corp. (BMC) reported that non-sparkling water held the No. 2 position by volume and 67% of market share last year. Single-serve bottles of still water experienced a hike of 8.9%. For the four weeks ending July 16, soda sales in all retail channels rose by a mere 0.2%. Wells Fargo Securities attributed the growth to a price increase of 0.9% because unit volume during the period declined by 0.7%. Meanwhile other subcategories have registered gains. BMC reported energy drinks climbed nearly 10% in 2015. Wells Fargo Securities recently indicated energy drink sales were up by 5.2% for the four weeks ending July 16. Another strong performer is ready-to-drink coffees. According to BMC, the subcategory enjoyed 16.5% volume growth last year. With the Summer Olympics in Rio de Janeiro, Brazil now concluded, and athletes like American gymnast Simone Biles and swimmer Michael Phelps earning Olympic Gold on the world’s biggest stage recently, sports drink sales got a needed boost, helping push category momentum even higher. “Bottle and can teas and coffees, sports drinks, energy drinks, coconut waters and other niche categories are performing very well right now,” said Gary Hemphill, BMC’s managing director of research. So why, after decades of maintaining a well-entrenched foothold as the leading beverage of choice among Americans, have CSDs lost so much market share? Analysts point to the expanding trend of people opting for BFY options. There’s an increasing public health concern associated with consumption of sugary drinks. Lawmakers have buoyed the idea of a soda tax for years, but Philadelphia became the first major city to adopt such an ordinance. Beginning Jan. 1, 2017, taxpayers will pay an additional 1.5 cents per ounce of soda and other sugary drinks, which include teas, sports and energy drinks. The movement away from sugar has some industry watchers anticipating a void that could be filled by sparkling water to satisfy drinkers’ preference for carbonation. Protein is another ingredient attracting attention. Once viewed as a post-workout product, the appeal of protein beverages has broadened to include a more diverse fan base. Consumers use the beverages’ high protein to satiate hunger between meals instead of reaching for salty or sweet snacks. BMC anticipates protein drinks to jump from an approximate $196 million in 2015 to at least $230 million by 2019. Critical to optimizing this trend in the c-store environment is building an inventory that satisfies traditional soda drinkers and customers wanting a BFY selection. More than just stocking a BFY selection, Hallman promotes their healthy characteristics. “In 2016, we launched a program called &Balance through signage at the shelf to call out a product’s specific benefit, whether it be high protein, low or no sugar or 100% juice, to provide consumers more information when selecting a beverage,” Hallman said. Image: Premium Waters intends to boost its bottling business in Mississippi, US. Photo: courtesy of Mississippi Development Authority/ Premium Waters Inc.
Private-label water bottling company Premium Waters is planning to build a new plant with an investment of $25m to manufacture and fill water bottles in Hinds County, Mississippi, US. The new 210,000ft2 facility, which is expected to create 42 jobs, is being built in the J.C. Sonny McDonald Industrial Park. The Mississippi Development Authority is assisting with infrastructure and site improvements for the advanced bottled water facility. Premium Waters supply chain vice-president Bernie Zarda said: “We went through a rigorous site selection process and are very pleased to have selected Hinds County to build our technically advanced bottled water facility. “Hinds County and the Jackson area met our criteria for investment including a supportive labor market and excellent access to our customers in the region.” Construction of the facility is scheduled to commence this month while production is planned t start in April 2017. Minneapolis based Premium Waters sells water in bottles in sizes including 10 ounce, 20 ounce, half liter and 1 liter under private labels and its own brands. Alexandria, VA – With an eye toward improving recycling through communications and education, the International Bottled Water Association (IBWA) signed on as the newest partner of The Recycling Partnership. This announcement marks the fourth new partner in as many months, as IBWA joins Kimberly-Clark, the Consumer Technology Association, and Heineken USA as the latest additions to The Partnership’s expanding group of diverse backers – numbering 22 and counting - which also include Procter & Gamble, the Can Manufacturing Institute, and the American Forest and Paper Association. Last year alone, The Partnership leveraged $11 million of new recycling infrastructure including the delivery of 165,000 recycling carts, and provided direct value to 1.2 million households. New engagements in 2016 include improving quality across Massachusetts in partnership with MassDEP, and rolling out carts in partnership with the City of Santa Fe, New Mexico. The Partnership’s 2016 grant round is currently open, geared specifically to help counties, municipalities, tribes, and solid waste authorities with 4,000 or more households upgrade to cart-based collection. The new Request for Proposals for cart and education grants is available at recyclingpartnership.org. Lisle, Illinois –The Water Quality Association (WQA), an Illinois-based not-for-profit organization, has compiled quick facts on Perfluorooctanoic Acid (PFOA) and Perfluorooctane Sulfonate (PFOS) in drinking water. PFOA and PFOS are man-made and are not found naturally in the environment. PFOS is commonly used as a simple salt (such as potassium, sodium, or ammonium) or is incorporated into larger polymers. PFOA is produced synthetically as a salt. Ammonium sail is the most widely produced form. How are these contaminants regulated? The EPA Provisional Health Advisory (PHA) is 0.2 micrograms per liter (μg/L) for PFOS and 0.4 μg/L for PFOA. PHAs reflect reasonable, health-based hazard concentrations above which action should be taken to reduce exposure to unregulated contaminants in drinking water. Minnesota’s chronic health risk limit is 0.3 μg/L for PFOS and PFOA in drinking water. New Jersey’s preliminary health-based guidance value is 0.04 μg/L for PFOA in drinking water. Alexandria, VA – The members of the International Bottled Water Association (IBWA) continue to respond to the ongoing lead-contaminated water crisis in Flint, Michigan, affecting 100,000 families. IBWA member companies – including Absopure, Flint Culligan, Maumee Valley Bottlers, Nestle Waters North America (NWNA), and Niagara – have so far donated the equivalent of 1.5 million bottles of bottled water. Bottlers are working with state, county, and municipal emergency management agencies and emergency relief partners like Convoy of Hope to provide bottled water to those in need. IBWA member companies are also coordinating donations through the Food Bank of Eastern Michigan, directly with the City of Flint, and partnering with local media outlets such as FOX 2 Detroit, and iHeartMedia Detroit. In addition, a major effort was just announced by NWNA, Walmart, Coke, and Pepsi, to provide up to 6.5 million bottles of water for approximately 10,000 Flint public school students through the end of 2016. The companies also encourage the public to get involved by visiting www.good360.org/flint to make donations that will go directly to local nonprofits serving the community. “IBWA has also offered its assistance to Michigan Governor Rick Snyder and Flint Mayor Karen Weaver. Our continuing efforts are focused on helping provide Flint residents impacted by the lead-contaminated public water supply with reliable access to safe drinking water. Safe, clean drinking water is important to everyone’s survival, but when public water supplies are compromised, bottled water is a necessary, vital, and reliable source of clean, safe drinking water,” said Joe Doss, IBWA President and CEO. For a review of federal lead in drinking water regulations, please click here. “We applaud Michigan officials for their new recycling efforts in Flint in response to the use of bottled water and encourage all consumers to recycle. All bottled water containers, including the caps, are 100 percent recyclable and they should be recycled,” said Doss. “The ongoing crisis in Flint, the emerging situation in Sebring, Ohio, and public water system problems in other U.S. cities, underscore the importance of having access to safe, drinkable water. The United States has the safest water supply in the world. And, the bottled water industry has long supported strong, reliable, public water systems. But, when clean tap water is unavailable, the bottled water industry has been, and will always be, there to ensure that people have access to safe, quality, water,” said Doss. The bottled water industry has always been at the forefront of relief efforts during emergencies, natural disasters, and other catastrophic events. Throughout the years, bottled water companies have immediately responded to the need for clean water after disasters such as hurricanes, earthquakes, tornados, wildfires, and flooding. It’s always important to remember that emergency preparedness guidelines issued by the U.S. Department of Homeland Security (DHS) recommend that all households maintain an emergency supply of water -- at least one gallon per person per day for three days -- for drinking, cooking, and personal hygiene. The DHS guidelines specifically recommend that consumers purchase commercially bottled water. “No words can explain what Matt brought to Star Solutions. He had infinite enthusiasm and wonderful ideas; he was a brilliant webmaster; and he enjoyed all aspects of his work. Matt loved our industry conventions and meeting people; he wanted to meet every customer face to face,” Roppolo said. “Matt will be greatly missed by the Mid-America Bottled Water Industry. He was an enthusiastic member who brought great energy and ideas to the Association,” said Brian Rose, MABWA President. Alexandria, VA – The International Bottled Water Association (IBWA) reminds consumers and government officials that during a natural disaster (e.g., flood, hurricane, wildfire), emergency, or other event that causes tap water to be unsafe or unavailable, the bottled water industry is committed to ensuring that safe, reliable bottled water is provided to emergency-support organizations, city and state governments, relief centers, retailers, and other points of distribution. IBWA understands that consumers must have access to safe, clean drinking water during emergency situations. Smart planning and preparing for one’s water needs can make a big difference in the ability to get through and recover from an emergency situation or natural disaster. When preparing for a natural disaster or other emergency, FEMA specifically recommends that store-bought bottled water be part of your supplies; at least one gallon per-person, per-day for three days. Storing bottled water is a safe, convenient, way to ensure that you have an adequate supply of water on hand. The bottled water industry has always been at the forefront of relief efforts during emergencies or natural disasters. Throughout the years, bottled water companies have responded to the need for clean water such as in 2014 when Toledo, Ohio’s, public water system was contaminated by a toxin from an algae bloom in Lake Erie; the 2013 chemical spill in Charleston, West Virginia; Hurricanes Sandy and Katrina; and numerous floods, wild fires, tornadoes, and earthquakes. To help focus people’s attention on the importance of being ready for the unexpected, each week of National Preparedness Month is tied to a specific theme that could affect anyone at some time: floods, wildfires, hurricanes, and power outages. The bottled water industry also supports a strong public water system, which is important for providing citizens with clean and safe drinking water. In fact, many bottled water companies use public water sources for their products. Once that water enters the bottled water plant several processes are employed to ensure that it meets the U.S. Food and Drug Administration’s purified water standard. These treatments may include one or more of the following: reverse osmosis, distillation, micro-filtration, carbon filtration, ozonation, and ultraviolet (UV) light. The finished water product is then placed in a bottle under sanitary conditions and sold to the consumer. Alexandria, VA – The International Bottled Water Association (IBWA) applauds the action by the U.S. House of Representatives halting National Park Service (NPS) policy that allows for banning the sale of bottled water in America’s national parks, thereby ensuring visitors have access to all types of water, the healthy-hydration option. On July 7, 2015, the House passed an amendment by Representative Keith Rothfus (R-PA) to the House Interior Appropriations bill, H.R. 2822, which prohibits the NPS from using any funds to implement or maintain bans on the sale of bottled water at any national park. A 2011 NPS policy allows national parks to ban the sale of bottled water in plastic containers. The House’s rejection of that policy is a vote for public health and safety. Bans on the sale of bottled water contradict the NPS’s Healthy Parks Healthy People initiative, which promotes more healthy food and beverage choices in national parks, and First Lady Michelle Obama’s Drink Up Initiative, which encourages the consumption of all types of water, whether filtered, tap, or bottled. This action by the House is supported by research published May 14, 2015, in the American Journal of Public Health (AJPH), which confirms that bans or restrictions on the sale of bottled water increase consumption of less-healthy beverages and are an ineffective means of reducing plastic waste. The study ,“The Unintended Consequences of Changes in Beverage Options and the Removal of Bottled Water on a University Campus,” concluded that a bottled water sales ban at the University of Vermont (UVM) – which is very similar to the national parks sales bans – resulted not only in a significant increase in the consumption of sugary drinks but also an increase, rather than a reduction, in the amount of plastic bottles entering the waste stream. NPS previously had reported that it established its bottled water sales ban policy due to concerns about waste left behind by park visitors. However, the policy singles out bottled water – an odd choice given the fact that bottled water products have the smallest environmental footprint of any packaged beverage. The policy does not apply to any other packaged food or beverage product or plastic waste that visitors dispose of in national parks. Interestingly, the 19 national parks that NPS reports have eliminated sales of bottled water apparently are not tracking the impacts of those bans – even though the NPS policy directive states they must. In fact, the NPS has admitted that the national parks that have implemented bans do not have the data available to conduct any post-ban analysis. Research has shown that when bottled water isn’t available, 63 percent of people will choose soda or another sugary drink – not tap water. “We also know that when bottled water is not available in a vending machine, people choose other less-healthy packaged beverages, which may contain sugar, caffeine, and other additives. They may not have access to a water fountain or filling station while out hiking, camping, or running daily errands,” said Chris Hogan, IBWA Vice President of Communications. “These bans, whether in national parks or college campuses, are misguided attempts to deal with a waste management issue that would be better addressed through efforts to improve recycling rates of all packaged drinks,” said Hogan. Single-serve bottled water containers use less plastic than other beverage containers and are the most highly recycled beverage containers in curbside programs. Data derived from Environmental Protection Agency (EPA) figures demonstrate that plastic water bottles make up less than one-third of one percent of the U.S. waste stream. The Rothfus amendment would not prohibit parks from continuing to authorize the sale of other beverages or from providing tap water filling stations to promote hydration. “IBWA applauds Congressman Rothfus for recognizing access to bottled water as a key component of healthy hydration. We thank Chairman Ken Calvert (R-CA) and Representative Renee Ellmers (R-NC) for their leadership and support of this amendment. We now call on the U.S. Senate to include the provision in its Park Service funding bill,” said Hogan. More information about bottled water can be found at www.bottledwater.org. BMC is a research, consulting, and financial services firm dedicated to the global beverage industry (www.beveragemarketing.com). The Water Quality Association (WQA) has unveiled the results of its 2015 Study of Consumers’ Opinions and Perceptions Regarding Water Quality. This was the fifth time in eleven years that WQA has commissioned a study analyzing consumers’ attitudes toward water quality and water treatment. The study is based on a national survey conducted in March by Applied Research – West, an independent, third-party market research firm. A total of 1,200 adults over the age of 18 and living in private households were selected by random sampling procedure and interviewed by telephone. The study found that consumers are slightly less confident than they were two years ago in the quality of the water in their homes; 56 percent of respondents – four percent more than in 2013 – described themselves as “concerned” or “very concerned” with it. The research also verified the impact government alerts have on consumer behaviors. Almost half of respondents (48 percent) reported to have purchased a water filtration device after receiving a “boil-water” or “unsafe water for use” alert. More than half of those surveyed (56-66 percent) expressed willingness to pay more for a home water treatment system that is able to remove biological waste, arsenic, lead, and other contaminants. The prevalence of bottled water continues to climb, with 77 percent of respondents – up five percentage points from 2013 and twelve from 2011 – identifying themselves as regular users. Refrigerators with water filters are also on the rise, up ten percentage points, from 35 to 45 percent, since 2013. “The study showed, once again, the positive impact that water treatment has on consumers’ lives and the growing opportunity for WQA’s members to meet the needs of their customers,” remarked Ken G Kabira, WQA associate executive director of member and public engagement. For more information from the 2015 WQA Consumer Opinion Study, please click here. NPS previously had reported that it established its bottled water sales ban policy due to concerns about waste left behind by park visitors. However, the policy singles out bottled water – an odd choice given the fact that bottled water products have the smallest environmental footprint of any packaged beverage. The policy does not apply to any other packaged food or beverage product or plastic waste that visitors dispose of in national parks. Interestingly, the 19 national parks that NPS reports have eliminated sales of bottled water apparently are not tracking the impacts of those bans – even though the NPS policy directive states they must. In fact, the NPS has admitted that the national parks that have implemented bans do not have the data available to conduct any post-ban analysis. Alexandria, VA – New research published in the American Journal of Public Health (AJPH) has confirmed the International Bottled Water Association’s(IBWA) position that efforts to ban or restrict the sale of bottled can lead to increased consumption of less healthy beverages and plastic waste. The study: “The Unintended Consequences of Changes in Beverage Options and the Removal of Bottled Water on a University Campus,” published this month in AJPH, concluded that the bottled water sales ban at the University of Vermont (UVM) resulted in a significant increase (25 percent) in the consumption of sugary drinks and an increase (8.5 percent) in the amount of plastic bottles entering the waste stream. Research shows when bottled water is not available in a vending machine, people choose other packaged beverages, which may contain sugar, caffeine, and other additives. They don’t necessarily go looking for a drinking water fountain. The results of the new UVM bottled water sales ban study supports that conclusion. “The data show that per capita shipments of bottles, calories, sugars, and added sugars increased significantly when bottled water was removed. Shipments of healthy beverages declined significantly, whereas shipments of less healthy beverages increased significantly. As bottled water sales dropped to zero, sales of sugar-free beverages and sugar-sweetened beverages increased,” said Chris Hogan, Vice President of Communications for the International Bottled Water Association (IBWA). IBWA has always believed that sales bans would result in increased sugary drink consumption but now the organization has a study that demonstrates these negative results can occur. In addition, since this new research has been made public, IBWA has noted an increase in social media posts indicating that results similar to those at UVM are occurring at other colleges and universities that have imposed similar sales bans. Bottled water companies also use a very small amount of water when measured against almost any other industry, are dedicated to responsibly protecting and preserving our vital water resources, and helping people live healthier lives. “Sustainable water sources are the single most important aspect of our business. Water resource management, therefore, is a priority for the bottled water industry. Even with continuing growth and increased consumption, bottled water still has the smallest water and energy use footprint of any packaged beverage. The results of a 2014 IBWA study conducted by the Antea Group show that the amount of water used to produce bottled water products in North America is less than all other types of packaged beverages. On average, only 1.32 liters of water (including the liter of water consumed) is used to produce one liter of finished bottled water,” said Hogan. UVM also requires concessioners and vending machines on campus to maintain a 30 percent ‘healthy beverage’ ratio. “This sends contradictory and confusing message to its students when you’ve removed bottled water as a packaged beverage option,” said Hogan. The decision also restricts freedom of choice for students to choose to drink one of the healthiest beverages available in vending machines. “The university has failed to understand that bottled water is considered by many people to be an alternative to other packaged drinks, which are often less healthy, but it is not necessarily an alternative to tap water,” said Hogan. To obtain a copy of the AJPH study, which is published in the current edition, please click here. PITTSBURGH, PA -- The human body can survive for weeks without food. Without water, it's only days. As such, access to clean, safe drinking water is absolutely vital. Perhaps at no time is this more evident than in the aftermath of natural disasters (e.g., floods, hurricanes, earthquakes). Disease can spread rapidly and people can quickly become dehydrated when the clean water infrastructure has been compromised or destroyed. In such situations, bottled water can mean the difference between life and death. Customers of three- and five-gallon water bottles for home, office and retail delivery require a plastic that can meet market demand for sturdy, yet lightweight bottles that can be recycled. Bayer MaterialScience LLC, a global polycarbonate supplier, meets the needs of the bottled water industry with a polycarbonate formulated to provide good flow, exemplary dimensional stability, high mechanical and impact strength, and excellent light transmission and transparency. Polycarbonate three- and five-gallon water bottles can be washed and reused more than 50 times, resulting in a product with one of the longest service lives of any water bottle in the field. Most importantly, the bottles, like all bottled water containers, are also sustainable. At the end of its life cycle, the polycarbonate can be recycled into near-virgin resin for second-life use in a variety of applications. Safe, reliable, and rugged, polycarbonate is a proven packaging material. Still, one of its chief chemical building blocks, also known as a monomer, is bisphenol A (BPA), and it is frequently misunderstood. The emotional controversy surrounding this monomer often means that reasonable, science-based questions that may be asked about any complex subject can quickly turn confusing. With that in mind, Bayer MaterialScience LLC and the International Bottled Water Association (IBWA) have teamed up to encourage a fact-focused conversation about polycarbonate. It is a chemical building block used primarily to make polycarbonate plastic and epoxy resins. Polycarbonate has been the material of choice for food and beverage product containers for nearly 60 years because it is lightweight, highly shatter-resistant and transparent. It is widely used in various food containers and many other everyday items, such as eyeglasses and compact discs. For example, many bottled water companies use polycarbonate plastic for their 3- and 5-gallon water cooler bottles. Because of less stringent toughness requirements in single-serve water bottle containers, polycarbonate is not used there. Science and experts agree: BPA is safe for its intended uses Key government bodies around the world have issued favorable opinions on the safety of this monomer. The consensus among these international regulatory agencies, which include the U.S. FDA, Health Canada, the Japanese National Institute of Advanced Industrial Science and Technology, World Health Organization/FAO (Food and Agriculture Organization of the United Nations), and the European Food Safety Agency (EFSA), is that BPA is safe when used as intended. Many international studies have been conducted to assess the potential for trace levels of monomer to migrate from lined cans or polycarbonate bottles into foods or beverages. The conclusions from those studies and comprehensive safety evaluations by government bodies worldwide are that polycarbonate plastic water bottles are safe for consumer use. On Jan. 21, 2015, EFSA announced the findings of a comprehensive re-evaluation of BPA exposure and toxicity, concluding that dietary exposure to Bisphenol A poses no health concern to consumers of any age group, including unborn children, infants and adolescents. In addition, EFSA noted that exposure to BPA from the diet or from a combination of sources (e.g., diet, dust, cosmetics and thermal paper) is below the safe tolerable daily intake (TDI) level. On January 6, 2015, the U.S. FDA updated its "Bisphenol A (BPA): Use in Food Contact Application" page on its website. The update references the newest FDA safety assessment of Bisphenol A (BPA) for use in food contact applications conducted in 2014. The webpage states that, "FDA's current perspective, based on its most recent safety assessment, is that BPA is safe at the current levels occurring in foods. Based on FDA's ongoing safety review of scientific evidence, the available information continues to support the safety of BPA for the currently approved uses in food containers and packaging." The fact is that international, independent, and objective scientific research has repeatedly shown BPA, when used as a monomer for plastics in food contact applications, to be safe. The American Chemistry Counsel (ACC) is now seeking to better educate consumers about the facts of BPA through an advertising campaign encouraging consumers to visit their website www.FactsAboutBPA.org, which has extensive additional information. The main focus of this effort is to encourage consumers to pay attention to the science behind the story. ACC's message to consumers? "Listen to the science: Experts say BPA is safe." The Bayer polycarbonate, Makrolon® WB1239, used in water bottle applications, is approved by the U.S. FDA for use in water bottles, as well as other food contact applications. A variety of other grades of polycarbonate can be used in food-contact applications as well. "Our customers know best," said Sam Stewart, vice president of sales, Bayer MaterialScience LLC. "They know that polycarbonate offers a balance of properties which make it ideal for a wide range of applications in various industries, including food contact, medical, automotive, electronics and construction. And they know that the FDA and other government agencies around the globe have approved the use of polycarbonate for these types of applications." "IBWA is pleased that leading scientific and regulatory bodies throughout the world continue to recognize the safety of BPA and polycarbonate bottles," said Joe Doss, president and CEO of IBWA. "Consumers can remain confident in the safety of their bottled water products. Scientific evidence clearly show that bottled water containers made from polycarbonate plastic are reliable and safe." With 2014 sales of EUR 11.7 billion, Bayer MaterialScience is among the world's largest polymer companies. Business activities are focused on the manufacture of high-tech polymer materials and the development of innovative solutions for products used in many areas of daily life. The main segments served are the automotive, electrical and electronics, construction, sports and leisure and medical device industries. Bayer MaterialScience has 30 production sites around the globe and employed approximately 14,200 people at the end of 2014. Bayer MaterialScience is a Bayer Group company. Sustainability is central to the company's business and is based around the key areas of innovation, product stewardship, social responsibility and respect for the environment. Alexandria, VA – “The International Bottled Water Association (IBWA) is aware that some long-time bottled water critics are taking advantage of the recent voluntary product recall by one bottled water company in Pennsylvania by attempting to scare and confuse consumers. The fact is, consumers can remain confident about the safety and reliability of their bottled water. Laboratory tests have confirmed there was no contamination of any kind detected in the finished bottled water products or in the spring water that was delivered to the bottling facility. Even so, out of an abundance of caution, the facility immediately shut down operations, disinfected bottling lines, and initiated a voluntary recall. CLICK HERE to read the company press statement on this issue. One group that is openly opposed to the very existence of bottled water chose this opportunity to issue a press release that not only makes numerous false and misleading claims about bottled water, but also rehashes unproven assertions and cites a previously discredited report. Provided below are the facts about the safety and regulation of bottled water. Bottled water is comprehensively regulated by the United States Food and Drug Administration (FDA) as a packaged food product and it provides a consistently safe and reliable source of drinking water. By federal law, the FDA regulations governing the safety and quality of bottled water must be at least as protective of the public health as the Environmental Protection Agency (EPA) standards for tap water. All bottled water products - whether from groundwater or public water sources - are produced utilizing a multi-barrier approach. From source to finished product, a multi-barrier approach helps prevent possible harmful contamination to the finished product as well as storage, production, and transportation equipment. Many of the steps in a multi-barrier system are effective in safeguarding bottled water from microbiological and other contamination. Measures in a multi-barrier approach may include one or more of the following: source protection, source monitoring, reverse osmosis, distillation, micro-filtration, carbon filtration, ozonation, and ultraviolet (UV) light. 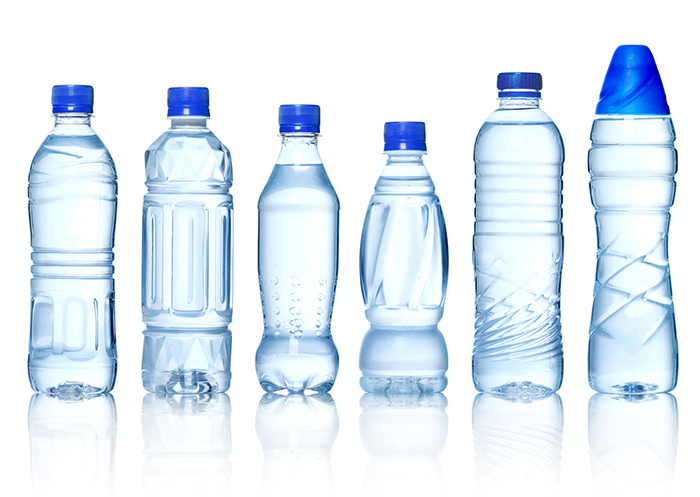 Further, bottled water is one of the few food products that FDA also subjects to extra two sets of requirements in addition to the general food Good Manufacturing Practices (GMPs) -- one prescribing bottled water Good Manufacturing Practices, and the other imposing specific bottled water standards of identity and quality. FDA's GMPs for bottled water apply to every aspect of production, from source protection, all the way through processing, to finished water sampling for purity prior to final bottling. FDA has established standards for more than 90 substances pursuant to the Standard of Quality (SOQ) for bottled water. Most FDA bottled water quality standards are the same as EPA’s maximum contaminant levels (MCL) for public water systems. The few differences are usually the result of the substance not being found in bottled water or the substance is regulated under FDA food additives program. The assertion that bottled water is 'dangerous' is patently untrue, and is a clear indication that the organization making this claim places anti-bottled water hype over science. A 2008 Environmental Working Group (EWG) study being cited has been discredited as biased and misleading. The results of EWG study were based on the faulty premise that if any substance is present in a bottled water product — even if it doesn’t exceed the established regulatory limit or no standard has been set — then it is a health concern. The report did not show any correlation between the levels of substances found in the bottled water brands tested and any potential adverse health effects. Moreover, the EWG report provides results from a market basket testing program that the EWG conducted on 10 brands of bottled water in nine states and the District of Columbia. That is certainly not a representative sample of bottled water products — which the EWG report acknowledged. Regarding the quality and safety of tap water, as noted in the 2013 Drinking Water Research Foundation (DWRF) report, 'Microbial Health Risks of Regulated Drinking Waters in the United States,' researchers estimate that more than 500 boil alerts occurred in the United States in 2010. In addition, the United States Centers for Disease Control and Prevention (CDC) reports that waterborne diseases, such as Cryptosporidiosis and Giardiasis, cost the U.S. healthcare system as much as $539 million a year in hospital expenses. In 2006, EPA researchers reported an estimated 16.4 million cases of acute gastrointestinal illness per year are caused by tap water. Subsequent research has estimated that number of illnesses to be closer to 19.5 million cases per year, resulting in as many as 1,000 deaths annually. In contrast, a survey of FDA and state bottled water regulatory authorities, dated June, 2009 and conducted by the Government Accountability Office (GAO), found there were zero outbreaks of foodborne illness from bottled water over a 5-year period. Moreover, in testimony before a July 9, 2009 Congressional hearing, an FDA official stated that the agency was aware of no major outbreaks of illness or serious safety concerns associated with bottled water in the past decade. Bottled water critics also engage in the practice of trying to pit bottled water against tap water. However, to claim that the availability of bottled water in the marketplace somehow affects the infrastructure, funding, development, and maintenance of municipal water systems makes no sense and is completely unfounded. The bottled water industry supports a strong public water system, which is important for providing citizens with clean and safe drinking water. In fact, many bottled water companies use public water sources for their purified bottled water products. Once the water enters the bottled water plant, multi-barrier measures described previously are employed to ensure that it meets FDA standards for purified water. The finished water product is then placed in a bottle under sanitary conditions and sold to the consumer. The 2011 DWRF report 'Bottled Water and Tap Water: Just the Facts,' provides a detailed comparison of quality and monitoring regulations for tap water and bottled water. IBWA also supported President Obama signing into law the Water Resources Reform and Development Act of 2014. This important law supports a strong American public water infrastructure and creates the Water Infrastructure Finance and Innovation Authority (WIFIA). This program will provide low-interest federal loans to communities, which will reduce the cost of financing large water and wastewater infrastructure projects. The bottled water industry is not a significant contributor to California’s ongoing drought or water scarcity issues in other parts of the country. Bottled water companies use a very small amount of water when measured against almost any other industry, are dedicated to responsibly protecting and preserving our vital water resources, and helping people live healthier lives. Sustainable water sources are the single most important aspect of our business. Water resource management, therefore, is a priority for the bottled water industry. Even with continuing growth and increased consumption, bottled water still has the smallest water and energy use footprint of any packaged beverage. The results of a 2014 IBWA benchmarking study show that the amount of water used to produce bottled water products in North America is less than all other types of packaged beverages. On average, only 1.32 liters of water (including the liter of water consumed) is used to produce one liter of finished bottled water. When it comes to overall water use, the bottled water industry continues to be a small and efficient water user. Bottled water uses only 0.01 percent of all water used in the U.S. In California, the bottled water industry accounts for only 0.02 percent of all water used. To put that in context, Los Angeles uses in three weeks what the bottled water industry in California uses in one year. And, most of the bottled water from California sources is sold in California." For more information please visit www.bottledwater.org. Alexandria, VA – Members of the International Bottled Water Association (IBWA) are taking to the halls of Capitol Hill today (Wednesday, June 3, 2015) seeking continued support for policies that will promote the growth and consumption of bottled water, the world’s healthiest packaged beverage. Bottled water is also expected to become the No. 1 consumed package beverage in the United States by the end of 2016. More than three dozen IBWA members—bottlers, suppliers, and distributors from across the country—are participating in the organization’s annual June Hill Day, the fifth and largest Hill Day IBWA members have participated in thus far in 2015. Companies that manufacture, distribute, and sell bottled water products directly employ more than 159,557 Americans and generate an additional 294,749 jobs in supplier and ancillary industries. Not only does the manufacture and sale of bottled water create good jobs in the United States, it also contributes to the economy as a whole. In fact, the bottled water industry is responsible for as much as $115.73 billion in economic activity. In addition, companies that produce, distribute, and sell bottled water; their employees; and other firms and employees that depend on bottled water for their livelihoods provide the Federal government with more than $5.86 billion in tax revenues. State and local governments benefit from more than $3.96 billion in business and personal taxes paid by these firms and their employees. It takes only 1.32 liters of water to make 1 liter of bottled water, including the liter you drink. Bottled water uses less water to make than any other packaged beverage product. Did you know that out of all the water used in the United States each year, bottled water accounts for only 0.01 percent? And bottled water uses just 0.02 percent of all water used in California every year. The IBWA members’ visit is timely, as several issues important to the bottled water industry are up for debate in Washington this year, including bottled water sales bans in the National Parks, attempts to impose unwarranted restrictions on the use of bisphenol A (BPA) in food packaging, FDA's new vending machine labeling regulations, and drought conditions in some parts of the country that have resulted in false and misleading claims about the bottled water industry, she added. Water is heavy, cheap and flows from kitchen taps--not exactly the first thing you'd consider putting on your online shopping list, right? Well, it's more popular than you might think. Nestlé SA says its U.S. water home-delivery business grew twice as fast as shipments to brick-and-mortar stores last year. In the first quarter of this year, it grew three times faster, and Nestlé expects the momentum to continue. For decades, trucks have dropped off five-gallon, 40-pound jugs for water coolers to houses and offices, typically at regular intervals through subscriptions. Customers received monthly bills by mail. Then sales stalled during the recession. Now Nestlé says it's getting a big lift from customized Web orders for its still and sparkling water brands, including Poland Springs, Perrier and Pure Life, after it spent millions of dollars upgrading software. The company began offering a broader packaging mix, including half-liter bottles, a couple of years ago. Since last year, online consumers also could make one-time orders, with delivery within 24 hours. Shoppers increasingly are ordering everything from diapers to wine online. When it comes to water, some don't like how it tastes from the tap and don't want to carry something heavy from a store. Now they don't even have to lift a five-gallon jug in their house, and can change orders on the fly. "The world is going this way," said Tim Brown, president of Nestlé Waters North America. "It's the convenience factor." Some consumers appear willing to pay for that convenience. Nestlé says its home-delivery business has avoided increasing competition in stores, where prices for bottled water have been falling in recent years as private-label brands proliferate. It says customers typically pay $6 to $7 for a case of 24 half-liter bottles delivered to their homes, compared with $5 and less in stores. Families, not single-person households, are doing most of the buying when it comes to home delivery, said Mr. Brown, who estimates U.S. household penetration of delivered water is only about 2%. Bottled water makers are benefiting from consumers avoiding soda, whose U.S. sales volumes have declined 10 straight years amid health and obesity concerns. The Swiss company's delivery business, roughly split between 1.5 million homes and offices, represented about 20% of its $4 billion in U.S. water sales last year. Nestlé says its water sales to U.S. homes and small businesses rose 14% in volume terms in 2014, compared with 7.8% at stores. In the first quarter of this year, the company says its direct-to-consumer shipments increased nearly 21%, compared with 5.5% at retail outlets. Other companies see the same opportunity. Private-label soda maker Cott Corp. last December acquired DS Services of America Inc., which delivers water via its water.com site, for $1.25 billion including debt. Consumers on Costco.com can have an entire pallet--1,872 half-liter bottles--of Pure Life water delivered to their homes for $489.99, if they live on the first floor. Coca-Cola Co.'s Dasani and PepsiCo Inc.'s Aquafina water brands are sold on Amazon.com. Fiji Water Company LLC, which has been delivering water from a remote South Pacific island to U.S. stores for years, also offers home delivery. Its website offers shipping a 36-pack of 330-milliliter bottles for $47.50. Nestlé has an advantage because it's the biggest seller of bottled water in the U.S., with an estimated 34.9% share of the $13 billion market at wholesale prices. It also controls about a third of the $1.6 billion home-delivery market, with DS Services a close second, estimates industry tracker Beverage Marketing Corp. The company owns a fleet of 2,000 delivery trucks for homes and offices reaching 60% of the U.S. population. Drivers track orders with hand-held devices and make about 50 deliveries a day. The average order is about $35, with roughly 20% of that for shipping costs. Orders carry a $20 minimum. Not everyone is convinced this is the wave of the future for water. "I don't think water for hydration to keep us alive is going to be delivered by UPS or Amazon," said Tom Pirko, managing director at Bevmark and a longtime beverage industry consultant. Michael Bellas, chief executive at Beverage Marketing, expects single-serve bottles bought outside the home to continue to be the biggest driver of industry growth over the next few years. But he also sees potential for companies like Nestlé and DS Services that have built large customer bases from years of delivering five-gallon jugs. "They already have entry into the home and the idea is to leverage that. It's a service business," said Mr. Bellas. ATLANTA, GA - May 04, 2015 (Marketwired via COMTEX) -- DS Services of America, Inc. (DS Services), a subsidiary of Cott Corporation (Cott) COT, +2.17% (BCB) and a leading bottled water, coffee and tea direct-to-consumer services provider and owner of Sparkletts(R) bottled drinking water, is entering the fast-growing sparkling beverage category with two new line extensions: Sparkletts(R) Sparkling Water, a refreshing, zero-calorie, lightly flavored sparkling beverage, and Sparkletts(R) ice, a zero-calorie sparkling beverage with a variety of fruit flavors. Both products roll out to retailers as well as home and office delivery customers starting May 2015. DS Services is introducing Sparkletts Sparkling Water and Sparkletts ice to compete in this fast-growing sparkling beverage category. According to Nielsen, flavored sparkling beverages are now the fastest-growing segment of the beverage category in chain supermarkets and have surpassed the unflavored sparkling beverage segment in size. "Consumers are choosing flavored sparkling beverages for their zero-calorie, great-tasting refreshment," says Brian Miller, Chief Commercial Officer, DS Services. "Sparkletts Sparkling Water and Sparkletts ice are our opportunity to support this consumer demand with popular flavors in convenient, on-the-go package sizes that are priced competitively with other sparkling beverage options in the market." Sparkletts Sparkling Water will be available in an unflavored option as well as two flavored options: Simply Sparkling, a flavor-free choice, Lemon Lime flavor and Raspberry flavor. Sparkletts ice flavors will include Pink Grapefruit, Black Raspberry and Orange Mango. Please visit water.com/sparkling for more information about Sparkletts Sparkling Water and Sparkletts ice. Alexandria, VA – The International Bottled Water Association (IBWA) today provided oral testimony at a U.S. Department of Health and Human Services (HHS) and U.S. Department of Agriculture (USDA) public meeting regarding the 2015 Dietary Guidelines Advisory Committee’s report. We recommend enhanced messaging on water consumption in the 2015 Dietary Guidelines, including language that promotes drinking water in all forms,” said Dr. Sims. “In addition, related information and documents, such as the “MyPlate” should also promote water consumption,” she added. 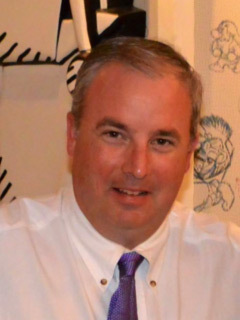 Matt Alexander is Appointed Vice President Star Solutions, Inc. DEER PARK, TX – August 8, 2014 -- Velma Roppolo, President of Star Solutions, Inc. announced today the recent appointment of Matt Alexander to Vice President of Star Solutions, Inc. in charge of Marketing and Sales. Alexander joins Star Solutions, Inc. after a career in Marketing and Sports Journalism. Residing in Round Rock, TX, Alexander’s last position was with the Texas Lottery Commission where he worked in publications, email marketing, and as a retailer retention specialist from 2000 to 2005. This was prior to taking on the role of stay-at-home-father for his two sons. “We are excited and pleased that Matt has made the decision to return the workplace and join Star Solutions,” Roppolo said. Baptist University in 1998 with a double major in History and Political Science. He was a member of the sports information staff at both Houston Baptist and the University of Houston. He served an internship with the Houston Rockets in media relations, worked as a writer and editor at CollegeSportsNews.com, and was the Assistant Sports Information Director at Southeastern Louisiana University in Hammond, LA. the envy of the neighborhood, and he also enjoys playing golf, attending his son's sporting events, and relaxing with family and friends. 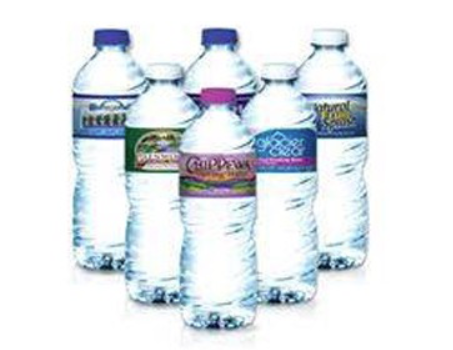 Star Solutions is the only chemical company serving the bottled water industry exclusively. We are large enough to provide an extensive line of time-proven products, and small enough to treat each of our customers with respect. If you have done business with any of the larger chemical companies, you will know just how important that is. Our market is both domestic and international, with hundreds of customers in locations from coast to coast, from Texas to Canada, and in the Caribbean. With corporate offices in Deer Park, TX and a blending facility in nearby Bayport, our location near the Houston Ship Channel makes transportation more convenient and our costs more competitive.